A leadership expert, Neen delivers high-energy keynotes presentations that challenge audiences to leverage their focus and pay attention to what matters most at work and in life. Audiences love her practical strategies they can apply personally and professionally. Meeting planners often describing Neen as the energizer bunny for their events. Neen earned her MBA from Southern Cross University and the Certified Speaking Professional designation from National Speakers Association. She has received numerous awards as a professional speaker. Her strong background in learning, development and managing large corporate teams makes her the perfect fit. 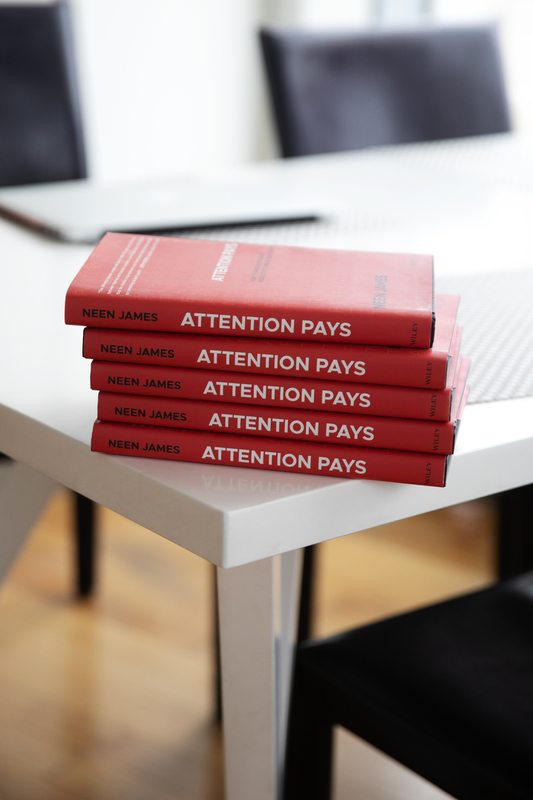 Organizations hire Neen for her implementable strategies that help employees avoid distractions, prioritize objectives and say ‘no’ to requests that steal time from priorities. Neen is Australian. Why does that matter? Well, it means that she’s a bit mischievous, witty and a little cheeky. In an on-demand, 24/7 society, where distractions cost millions of people productivity, profitability, relationships, and peace, it’s time to pay attention to what matters most. Attention Pays™ shares: Powerful strategies increase profitability How to achieve maximum accountability and results Methodology to help productively manage daily tasks Guidance on improving daily attention and focus If you’re ready to drive profitably, increase productivity and boost accountability, it’s time to tune out the noise, focus on what really matters and learn how Attention Pays. A corporate client favorite! Why? Because time management is out the window. Neen’s keynote turns time management and productivity tools upside down and all the way around. And when your team GETS it? They’ll never look at another 24 hours the same way! Truth? You don’t have time to do everything. What do you have? The time to do everything that matters! Increase productivity by a minimum of 30% within 90 days (yes, you read that right!) Lear to say no to things that don’t matter… so you can say “YES!” to the things that do Cut meeting times times in half Win the battle with email Maximize productivity by identifying utilizing your personal work “Do you wish you had more hours in the day to get it all done? Do you take work home or stay late at the office almost every day? Are you and your team stuck in too many meetings that seem to go on forever with no real result? Answer yes to any of those? It’s time to learn how to “fold time”! This productivity keynote and support resource is a must for leaders and high-volume sales pros who are sometimes scrambling to manage their time, focus their attention, and motivate their teams to achieve at the highest level.